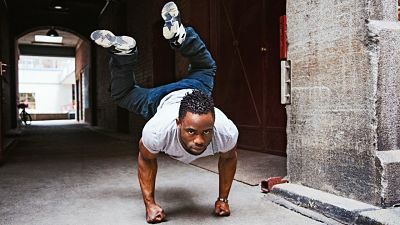 B-Boy Jr (Junior Bosila Banya) is a hugely talented break dancer with over 40 million views on his YouTube channel. 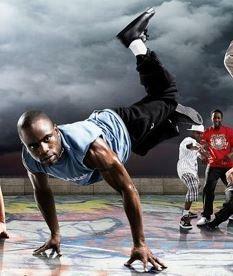 B-Boy Jr ’s style is original, powerful and full of musical energy and his strength is superhuman. 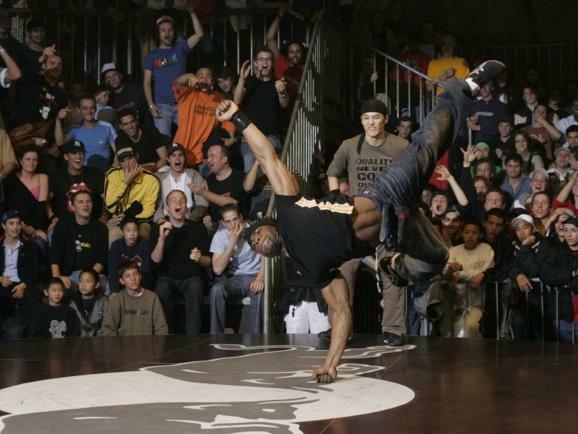 B-Boy Jr was a member of the break dancers troupe – Wanted Posse and became a household name in France after winning Incroyable Talent 2007 – the French version of the ‘Got Talent’ series. 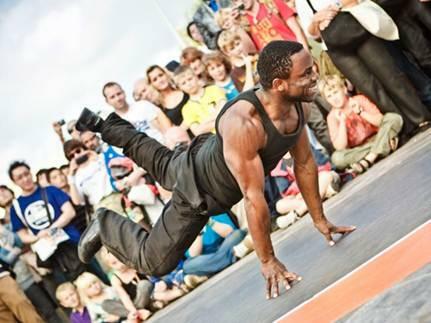 In 2013, B-Boy Jr joined Flying Steps (a German dance troupe) with which he performed in “Red Bull Flying Illusion” which toured Europe until 2017. A year later he created his own dance company called Pas Pas Mal and in 2015 he joined the show Trio which also starred beat boxer Sly Johnson (who is a member of The Saïan Supa Crew). B-Boy Jr ’s solo break dance show is a high impact 5 minute display of his signature break dance moves and it has to be seen to be believed!